Best Boiler Repair Services in the Frederick Area! Whenever you have issues with your boiler system, it’s never a fun experience. Sometimes the issue is a quick easy fix, but sometimes the issue can provide a long, stressful process. For whatever boiler issue you have, let the experts at Dave’s Mechanical Services, LLC handle the stress for you. We’ve been providing top-notch air conditioning and heating services for years and customer satisfaction is our top concern. We’re not finished working until you’re 100% satisfied with the results. Have a Boiler Emergency? We Can Help! 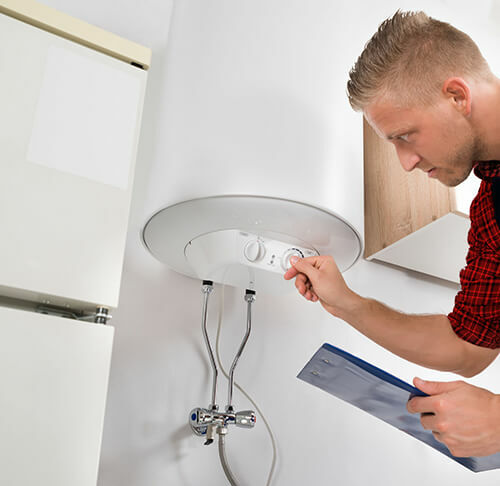 No matter what issue you notice with your boiler, we can provide quick and effective repair services. We specialize in exceptional emergency boiler repair services and we can be at your door within minutes. Our experienced technicians have the skills to provide quick repairs while keeping the costs low. And our work isn’t complete until you’re 100% satisfied with the job we’ve done. Come wintertime, a boiler can be the difference between a chilly environment and a warm paradise. These systems are highly powerful, energy efficient, and last for many years. If you need a boiler installation, Dave’s Mechanical Services, LLC has the solution you’re looking for. We specialize in boiler installation and our technicians are very skilled when it comes to heating solutions. When we get a call for a boiler replacement, we not only help you choose the best, most-efficient model for your home, we can take care of the whole installation process for you. From the sizing to the price, we can help you choose the perfect model for your home or business.